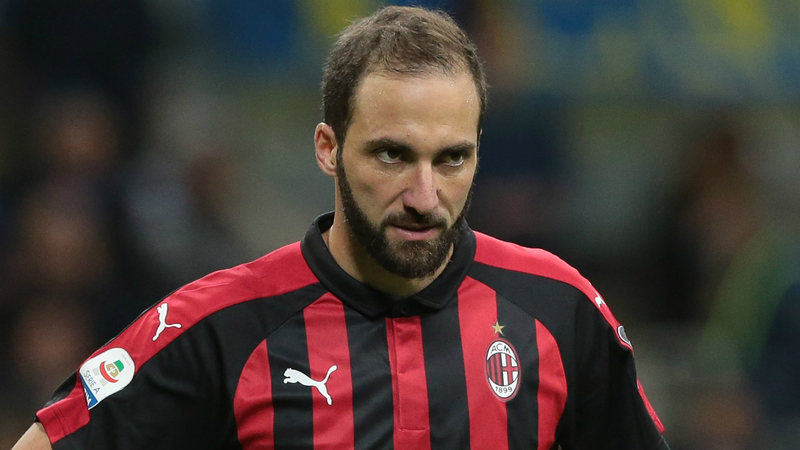 AC Milan striker Gonzalo Higuain has been included in the Rossoneri squad to face parent club Juventus. Higuain missed Thursday's Europa League draw against Real Betis but is in Milan's 25-man group to face the Serie A leaders. The Argentina international is on loan at Milan from Juventus, who allowed him to leave following the signing of Cristiano Ronaldo. Higuain has hit five goals in nine Serie A appearances and will be out to impress against his employers at San Siro on Sunday. Emre Can remains out for Juventus as the Germany midfielder recovers from surgery on a thyroid nodule. Massimiliano Allegri's side will be hoping to bounce back from a 2-1 home loss to Manchester United in the Champions League, their first competitive defeat in any competition since April.